While birding at the Whiskey Creek Fish Hatchery in Tillamook County, I stopped to check out a stand of Red Hot Poker, or Torch Lily. 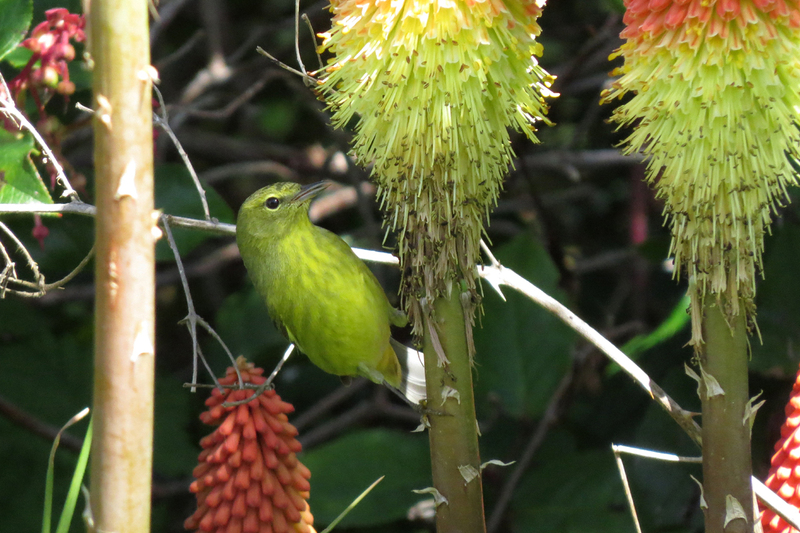 This plant is not native, but the flowers are very attractive to hummingbirds, orioles, and warblers. Orange-crowned Warblers were the only warbler species around that day, but several individuals came out of the heavy cover to feed on nectar. When I first arrived at the patch, a female Anna’s Hummingbird was feeding. 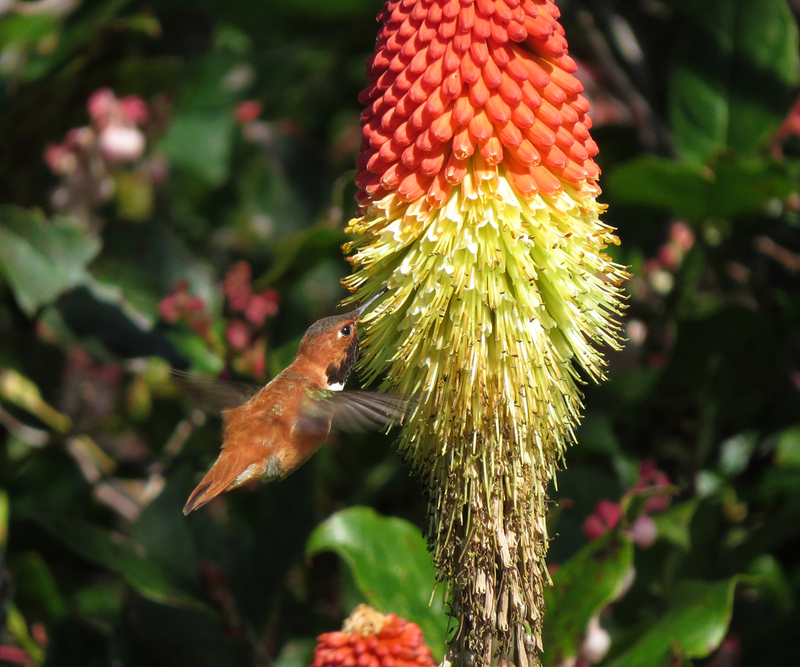 She took off before the camera came out, and then the patch was dominated by a male Rufous Hummingbird. Whiskey Creek Hatchery is a small site, but offers a little patch of woods and access to Netarts Bay. 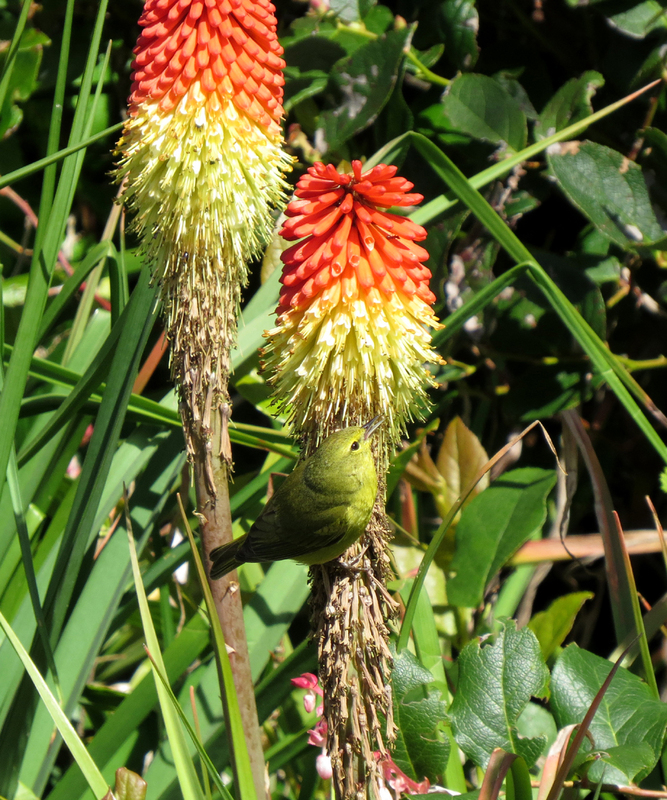 This entry was posted in OR Birding Sites and tagged Orange-crowned Warbler, Rufous Hummingbird, Whiskey Creek Fish Hatchery. Bookmark the permalink.